For additional information about this book, visit the website theyearthetreesdidntdie.com. "Mary Koral's memoir shares the love and family created by her and her husband as they faced the challenges of adopting and raising three children from three different regions of the world at a time when multiracial families were rare.The story is extraordinary and Koral's use of language is almost poetic. She captures people, places, and situations as no other author I have encountered and conveys the triumphs of persistent love in the face of the unpredicted demands of adoption and multicultural parenting. The book is hard to put down and almost every chapter left me teary and thinking about all of the people I wanted to share it with." ~ Chris Lord, author of “Field Guide to Luck” published by Pudding House. Chris has been editor of Bear River Review, co-host of “Writers Reading at Sweetwaters,” has won competitions and been published in small press journals. 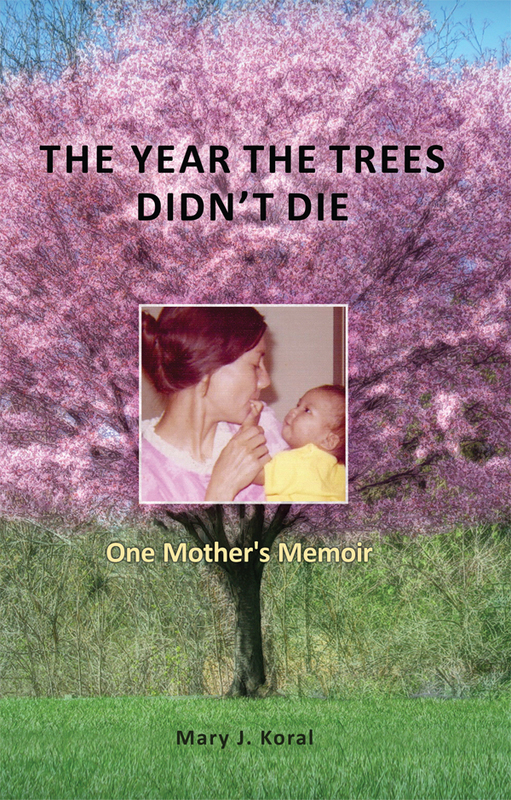 "The Year the Trees Didn't Die: One Mother's Memoir is a story of family that learns how to live with loss. My kids live in a world strangers took them to. Nothing of their pasts is known, as if they were not alive until they came to us. I promise them to make up for that. I will exchange loss for love, all of it: lost mother, lost father, birth name, language and country. But. The eldest son looks for his birth mother in every female Asian face. He grabs at whatever is in his line of vision.Our East Indian daughter runs wild at thirteen. Our Korean-born son hurls a book through a window. Shattered glass and cold surround us. "I'm damaged goods," he says. "A crazy person." Our lives spin off into chaos. Our daughter returns home bruised and pregnant. Our oldest son swallows loss in hidden six packs. Our marriage heaves and lurches. The kids are a roller coaster ride I never imagined. The Year the Trees Didn't Die speaks to every parent who has travelled through dark. It's a story of love and survival." Mary Koral grew up in a small town in northwestern PA. She currently lives in Ann Arbor, MI. Her writing, including parts of this book, has appeared in the Alaska Quarterly Review, Tusculum Review, Diverse Voices Quarterly and other journals.